Apple’s September 2014 keynote was highly anticipated and #applelive supplanted #indyref, #Ukraine and #ISIS from the Twitter trending leaderboard. A huge part of the hype surrounding it was Tim Cook’s announcement that Apple would be launching an entirely new gizmo — Apple Watch. 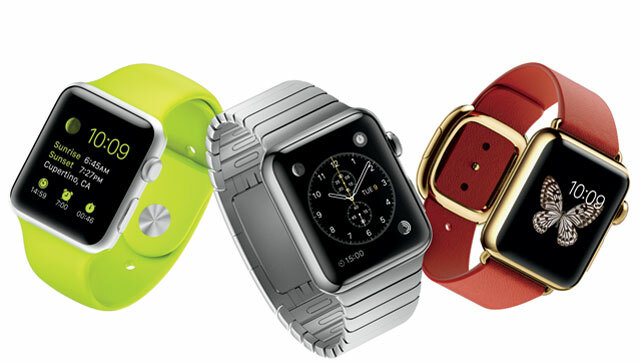 The launch of Apple Watch comes hot on the heels of competitors launching their second generation products last week. Sony has launched SmartWatch 3 and Samsung launched its Gear S. These devices promise to be the next step beyond smartphones, fusing mobile technology and life-logging capacity with a humble watch. Some commentators think this is a moment of disruptive innovation for not just the mobile computing industry, but also for other product categories ranging from watches to healthcare. Despite the showy launch event, one big unanswered question remains: do consumers actually want smartwatches? There have been smartwatches on the market already for a year, and the results have been somewhat lacklustre. Market research firms have found that one third of smartwatche users abandoned their new gadgets after six months. It is not even clear if the unique selling points of smartwatches are important to users. A central plank of Apple strategy for its smartwatch is exploiting the fitness and health apps on the device which allow you to track the number of steps you take a day, your heartbeat, your sleep or even your moods. Research suggests, however, that many smartwatch users are uninterested in these health-related apps. So, if people don’t use their smartwatches for tracking their health, what do they use them for? To answer this question, Alberto Rizzoli and I studied how early adopters of smartwatches actually used their devices. We spent more than 300 hours observing and interacting with smartwatch users on online forums. We also interviewed 24 users of smartwatches throughout the world. We were surprised to find that most consumers didn’t use most of the functions on their smartwatches. They didn’t use them to surf the Web, answer e-mails, operate most apps or even log vital statistics with health or fitness tracking apps. What they did use their smartwatches for was to monitor the flow of personal information like e-mails, SMS messages and Twitter updates. Users could glance at their watch to see who e-mails were coming from without necessarily opening the message. This helped to quell the anxiety which comes from hearing your phone buzz with a new message and not knowing what the message is. We also found that smartwatches were particularly useful to keep track of messages without interrupting the flow of social interaction. They helped users to avoid the embarrassment of having a buzzing smartphone interrupting a meeting or a date. One judge described how he would use his smartwatch to keep an eye on incoming emails when taking evidence in court. We found that if users wanted to do anything beyond checking basic information, they turned to a larger device such as tablet or laptop. Another big advantage identified by smartwatch users was that the devices saved them from frantically digging through a bag to find a ringing phone. Having a smartwatch meant the device was always close at hand. This was particularly appreciated by female users who complained about the constant frustration of finding their phone in their handbag. This meant users felt less controlled by their device — a common experience of smartphone users. A surprising finding was that heavy users started to suffer from a phantom device effect. This happened when heavy users who were not wearing the device started compulsively to check their bare wrist for information updates. The people who started to suffer from the phantom device effect were also the people who were most happy with their watch. One big ethical issue users did not consider is how these devices will be used to track and collect intimate data about their everyday lives. Most smartwatches have life-logging technologies which collect data about bodily rhythms. These could be used as a potential surveillance device. It could also see technology companies selling our most private health information to a whole range of parties such as insurance agencies. After all, prisoners are forced to wear tracking devices, while Apple aims to get consumers to pay hundreds of dollars for the pleasure. The constant stream of data about our most intimate information could also lead users to become increasingly narcissistic. In a forthcoming book, Carl Cederstrom and I look at how wearable technology has triggered mounting self-obsession in consumers. Users become more interested in monitoring their own health and happiness than engaging with the world around them. This fuels a wider obsession with our own personal health and happiness that we call “the wellness syndrome”. Far from making people feel better, it often makes them feel increasingly anxious. So, if you do decide to experiment with entering the world of smartwatches, it’s worth bearing in mind that it might help to manage information overload, but it could become a luxury surveillance device. I’m about to get a mid-range, semi-decent cell phone (these days they are all plastic, yet remain shockingly expensive). 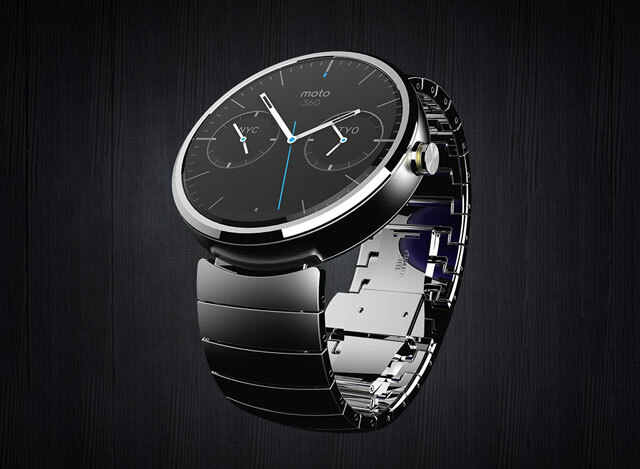 As part of this purchasing spree, I’ve been looking at the different smart watches available. The result is that I don’t really think the manufacturers have an idea of what smart watches should do to be useful. I don’t need a watch that does what my phone already does. I need a smart watch that extends or adds to what my phone does, and thereby adds value to my purchase. My smart watch doesn’t need a camera (I’m not a spy). Health sensors, meters, etc – yes, might be useful, probably. But my problem is that I can’t really think of anything that a smart does that would really be useful to an average guy like me. The battery life of a smart watch seems bad, so I would be needing to keepe TWO devices charged instead of just one. They are very expensive, more so than they need to be I’m sure. It’s nice that I can check my watch for messages and reminders, but my phone already does that, and it’s just as rude to keep checking your watch as it is your phone. So I don’t know about a smart watch. What I could really use would be Google Glass. I think that could be REALLY useful. I think buying a top-end phone and no smartwatch would be a better use of money. I’ve set my phone’s alerts up so that I know what inbox email has come to (7 separate email addresses have realtime delivery to my phone), if someone important is calling, etc without even looking phone, or at my wrist. I honestly can’t think of anything so important in my life that I’d need to save 2 seconds to look at it, and the number of times I’ve had my hands full and needed urgently to see the message that just came in to my phone in my entire life is probably zero. For me the key is that checking a watch and phone are both interrupting actions; you might save a second or two, but you don’t gain anything tangible from checking what the message is on your watch. I love gadgets, and will probably get a smartwatch when they get a little less bulky when the tech allows it, but I know 3 months later I’ll have buyer’s remorse and it’ll be in a drawer along with a bunch of meh gadgets that I can’t even remember any more. Why we are using a fake 360 image, I’ll never know. What would be usefull to me would be a simple cell phone that I wear as a watch (and looks like a watch) – just with a bluetooth earpiece for calls. A smartphone is actually a nuisance to carry around and most stuff I can check from my tablet in the office.